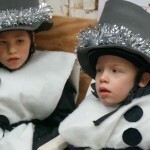 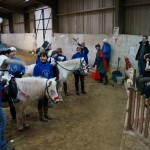 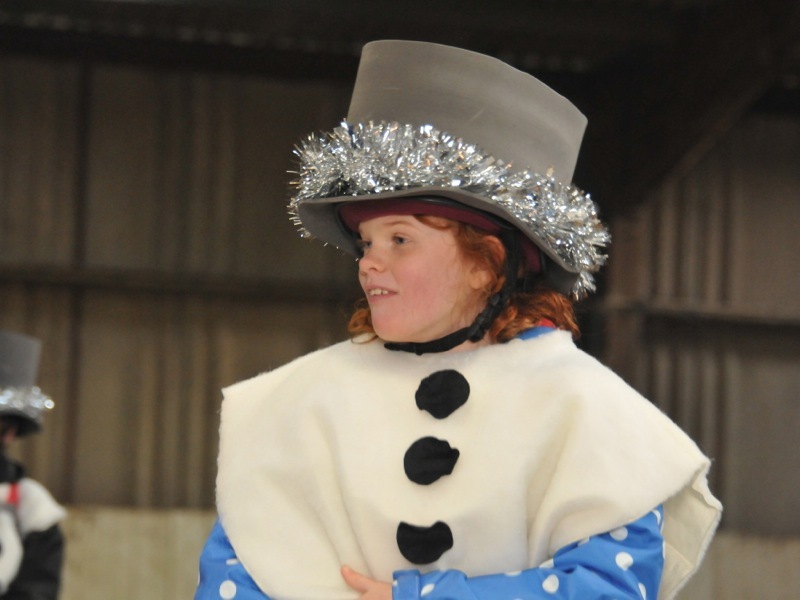 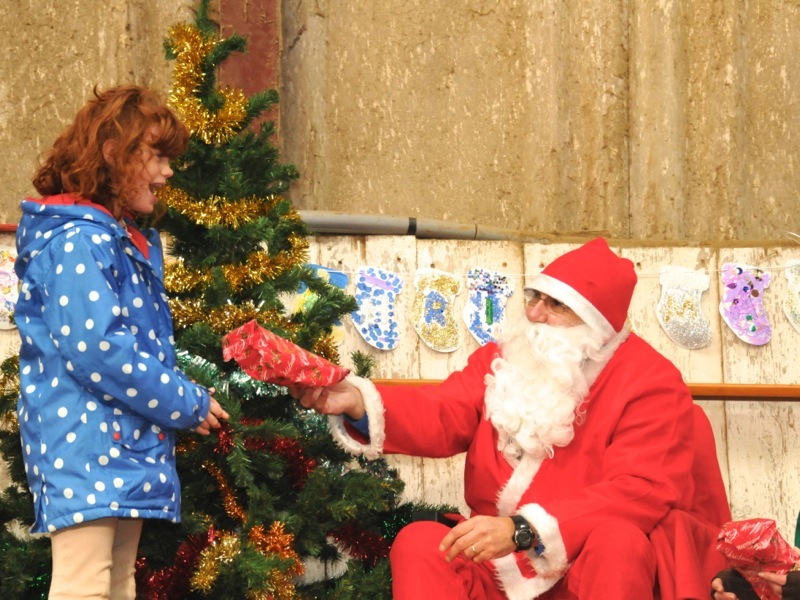 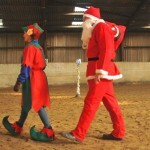 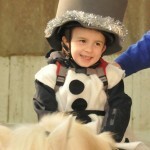 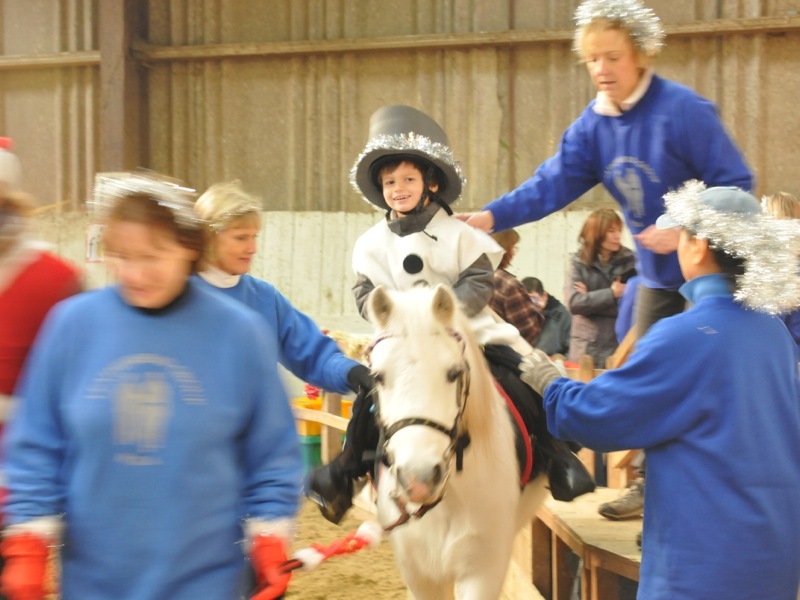 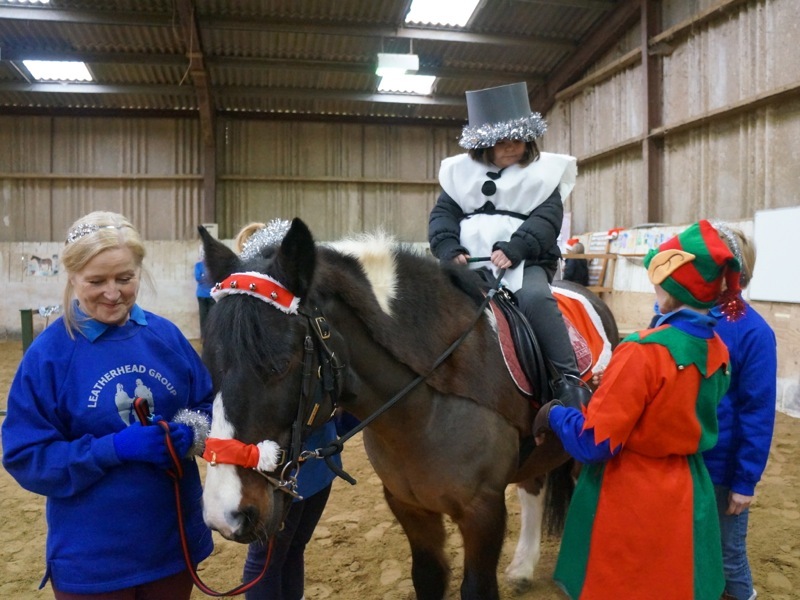 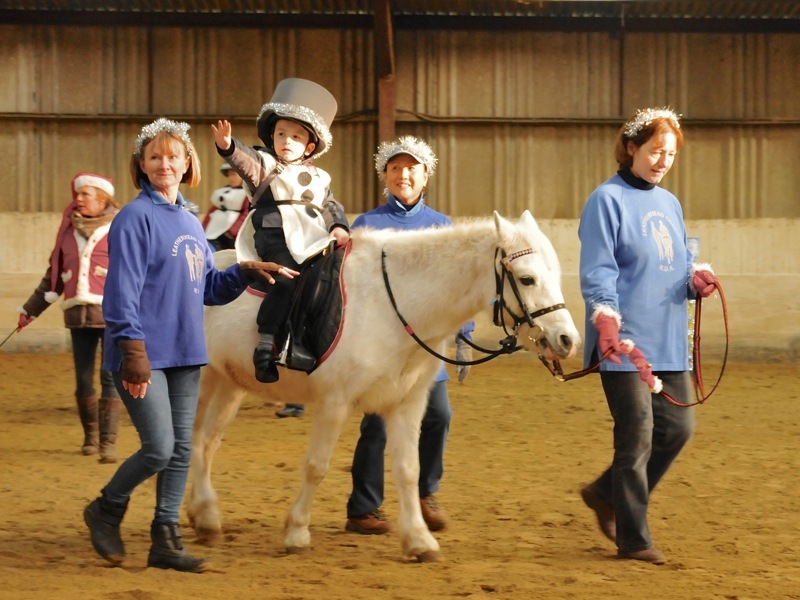 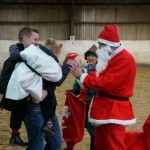 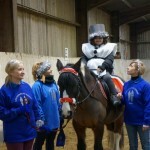 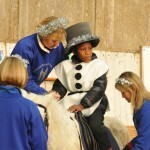 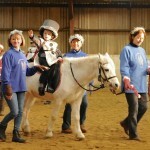 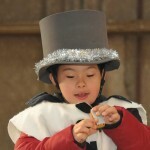 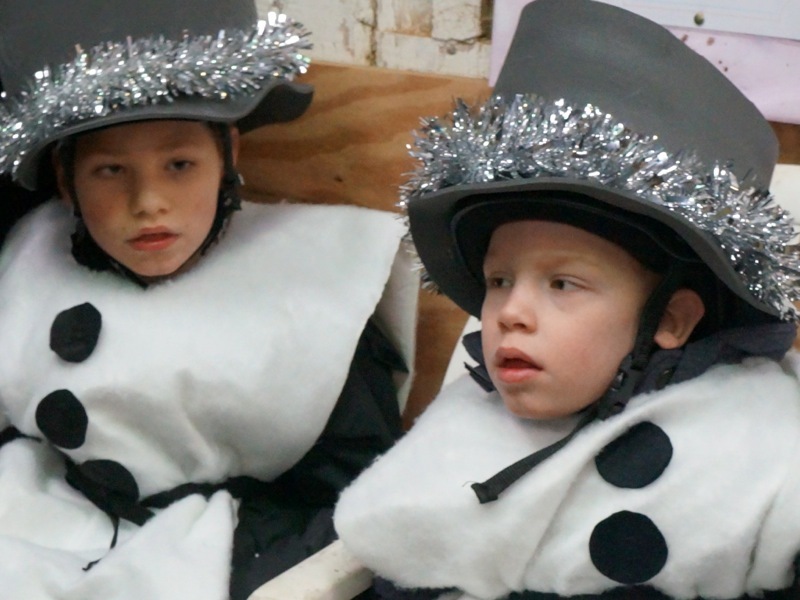 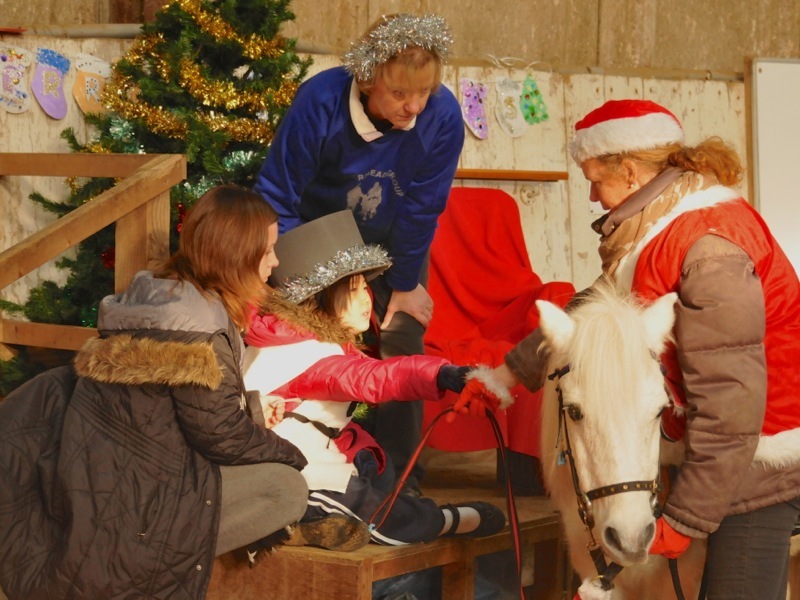 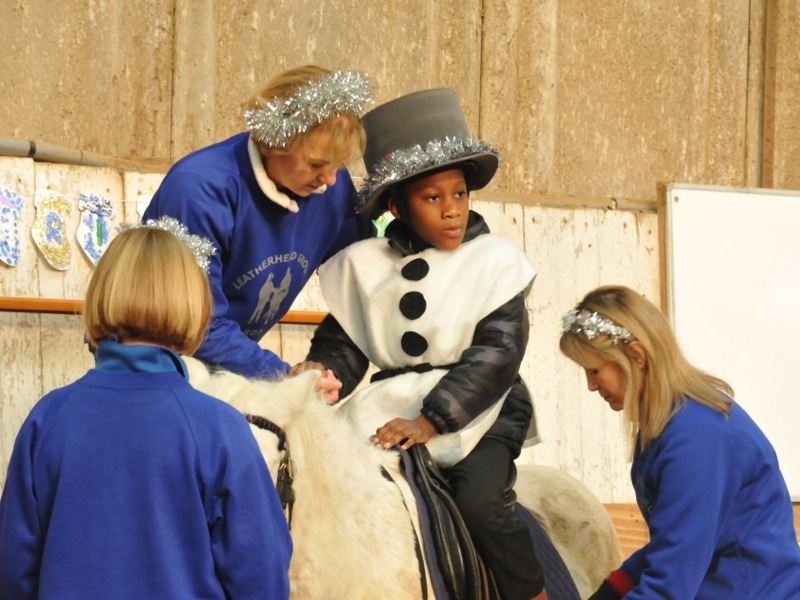 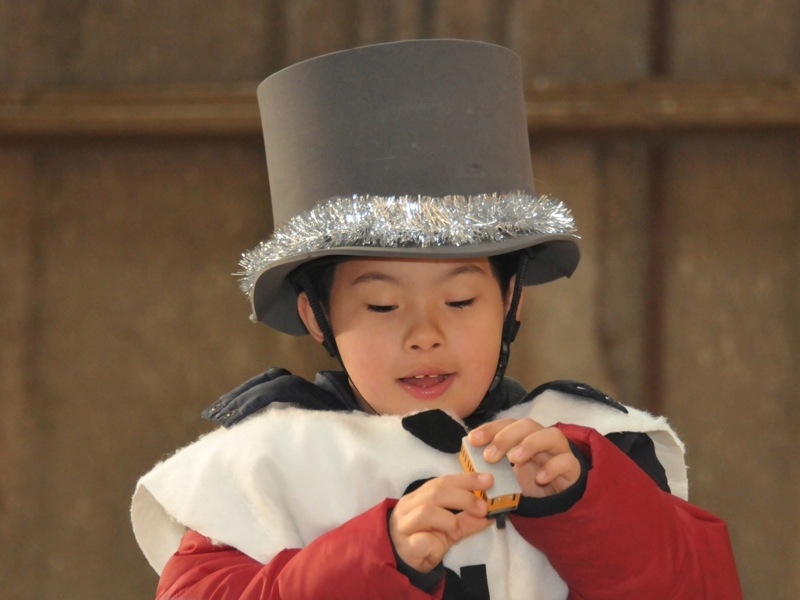 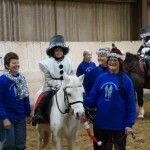 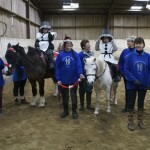 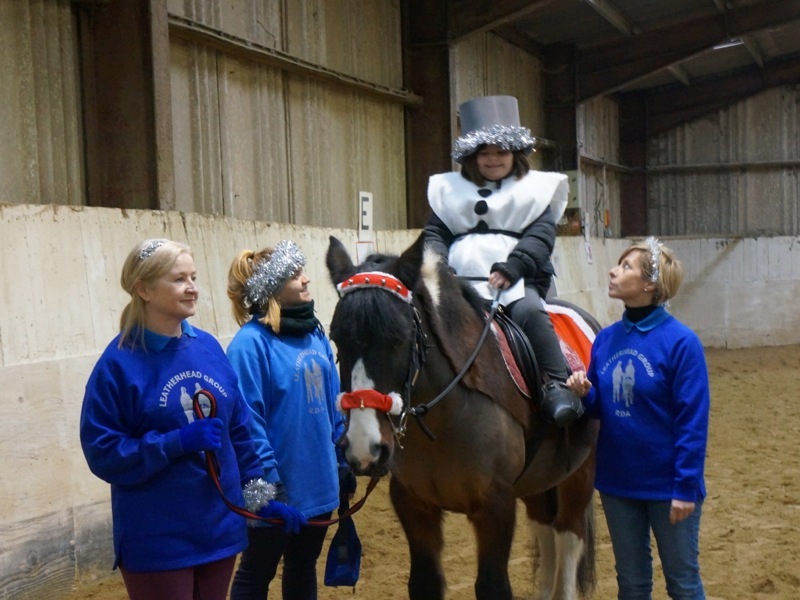 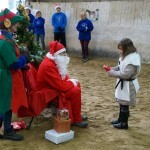 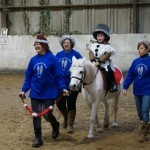 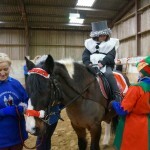 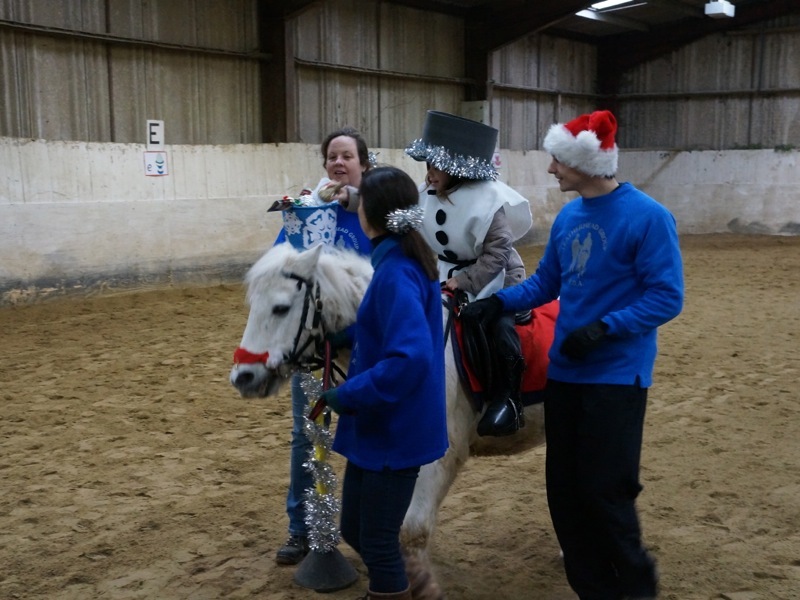 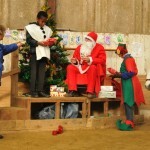 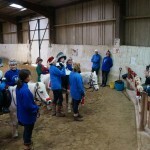 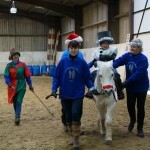 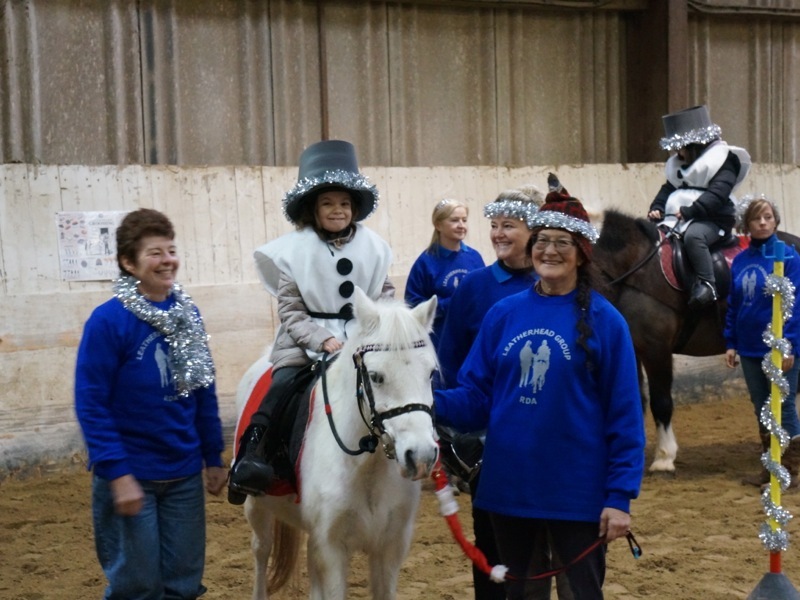 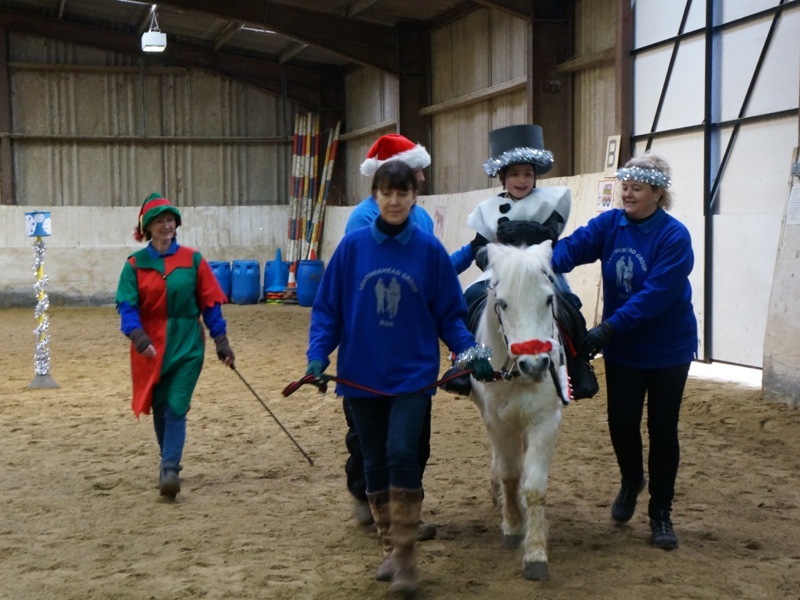 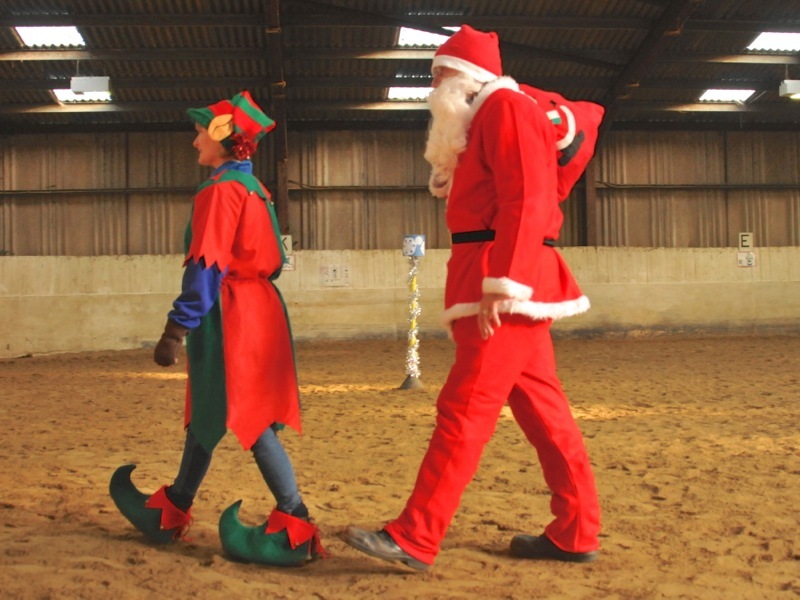 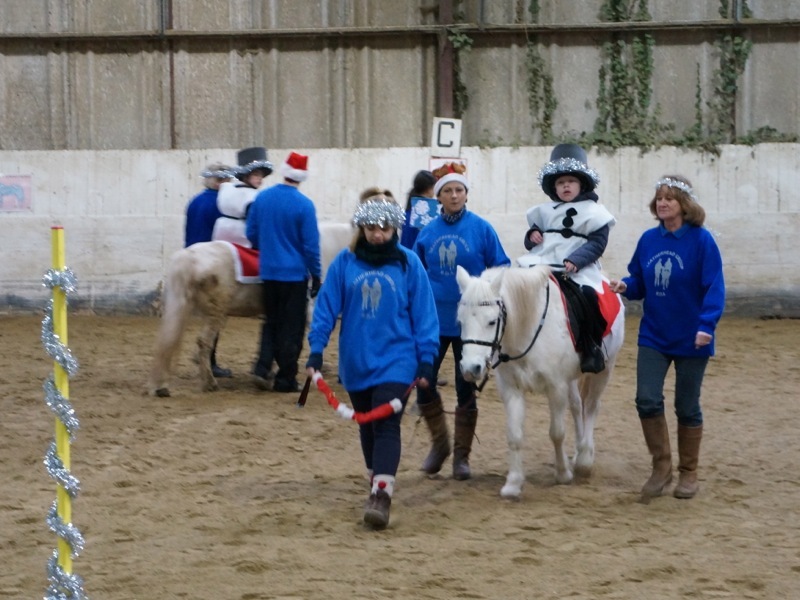 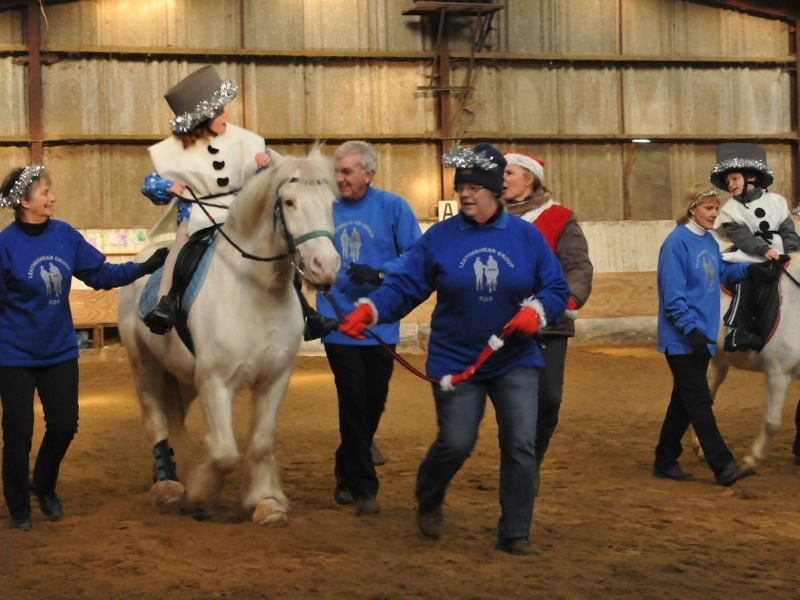 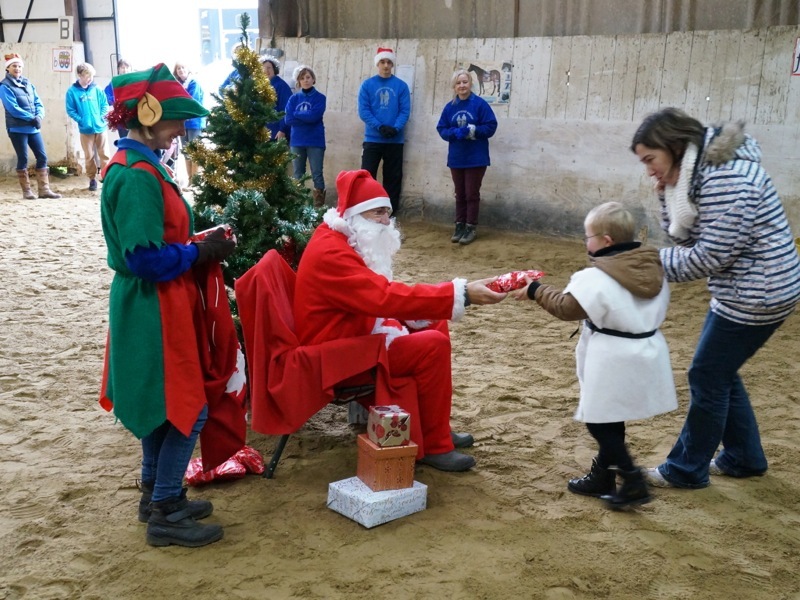 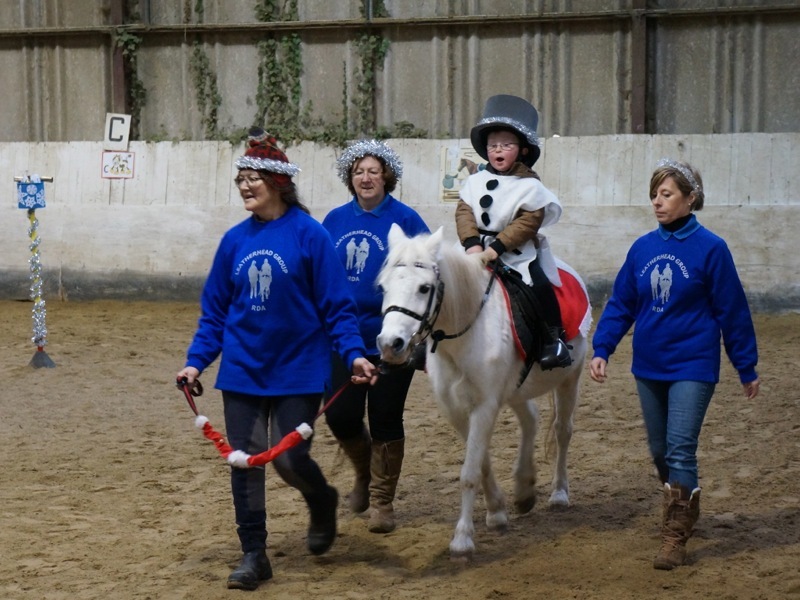 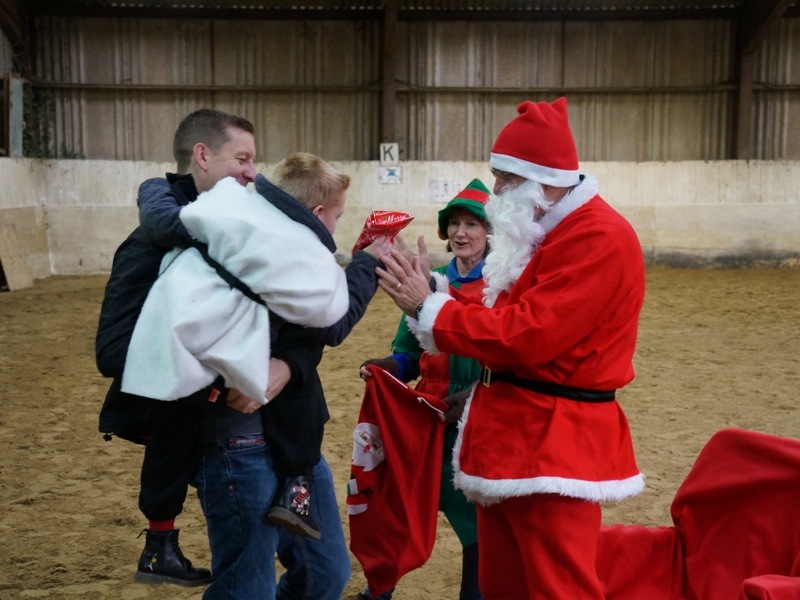 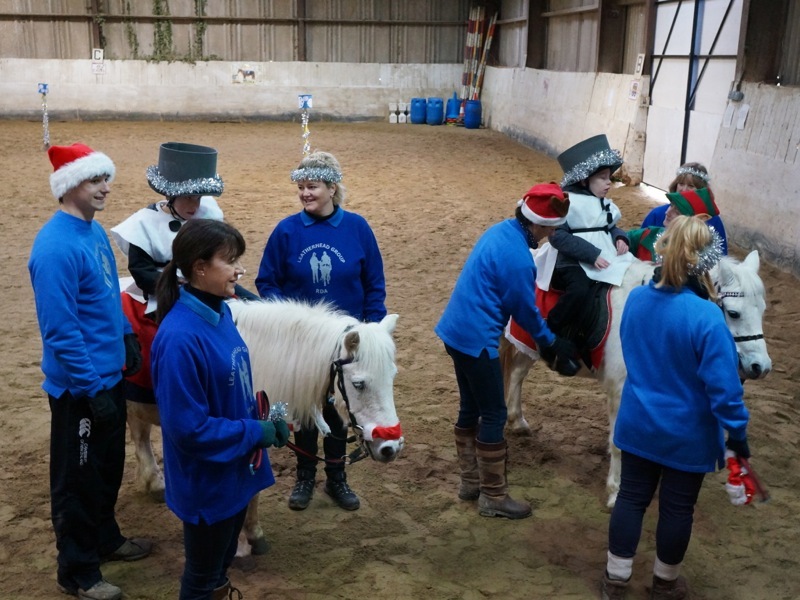 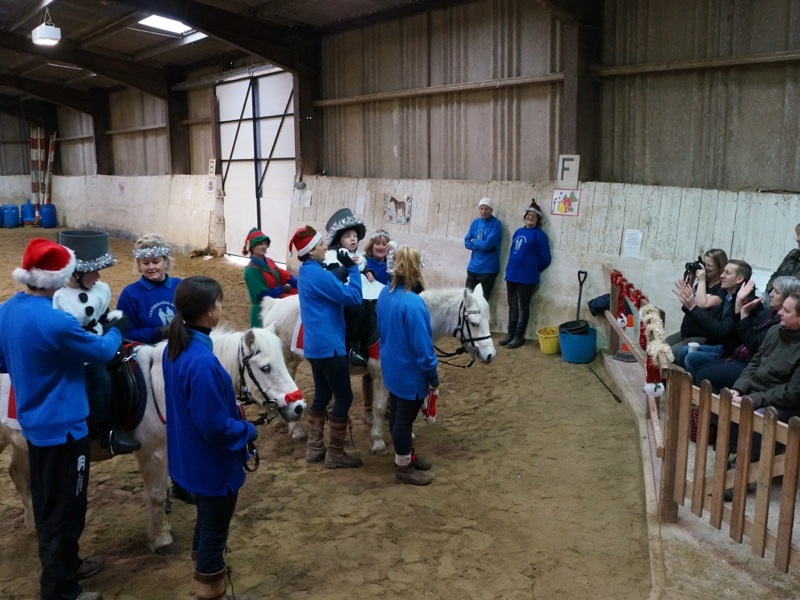 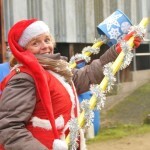 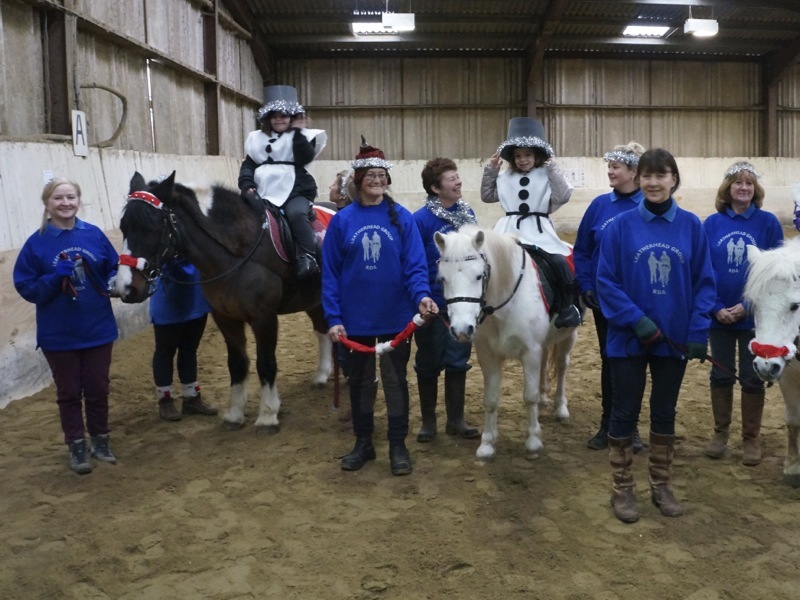 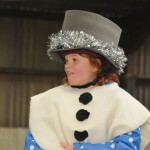 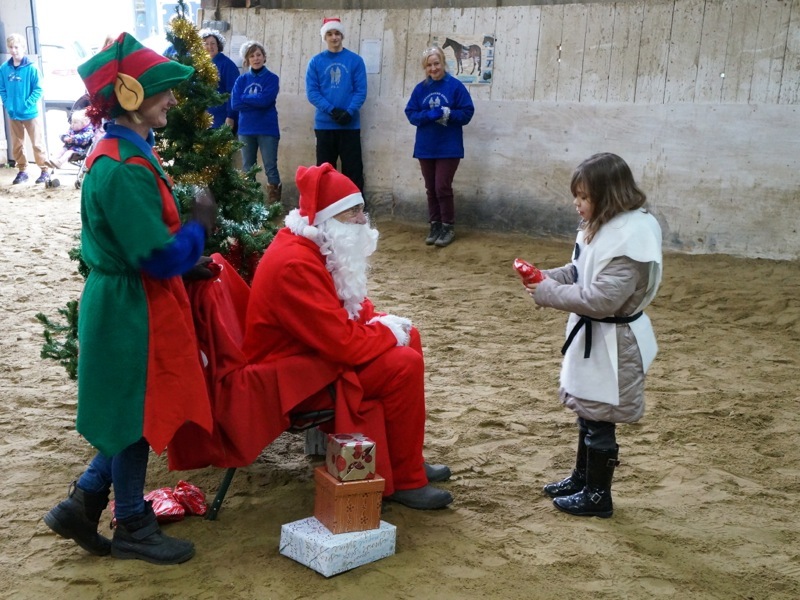 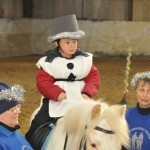 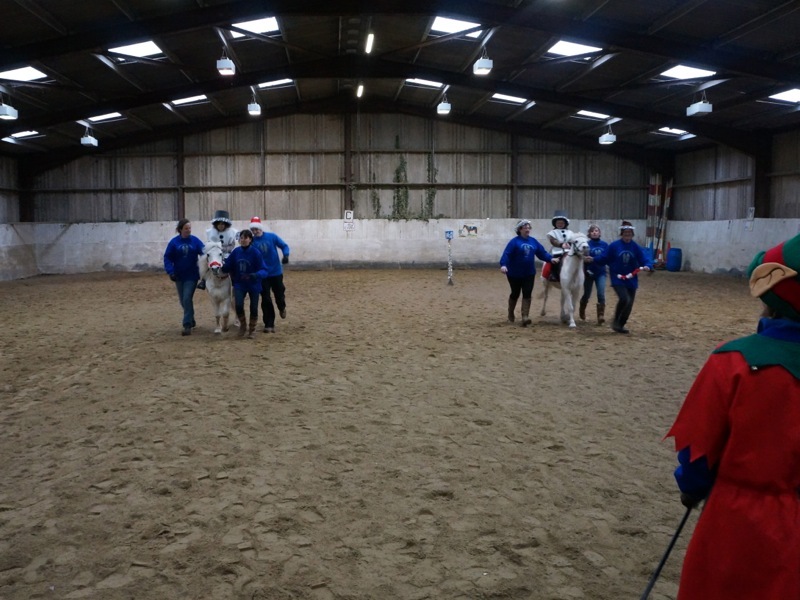 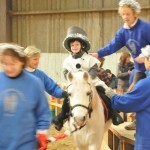 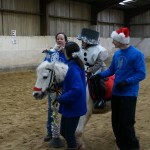 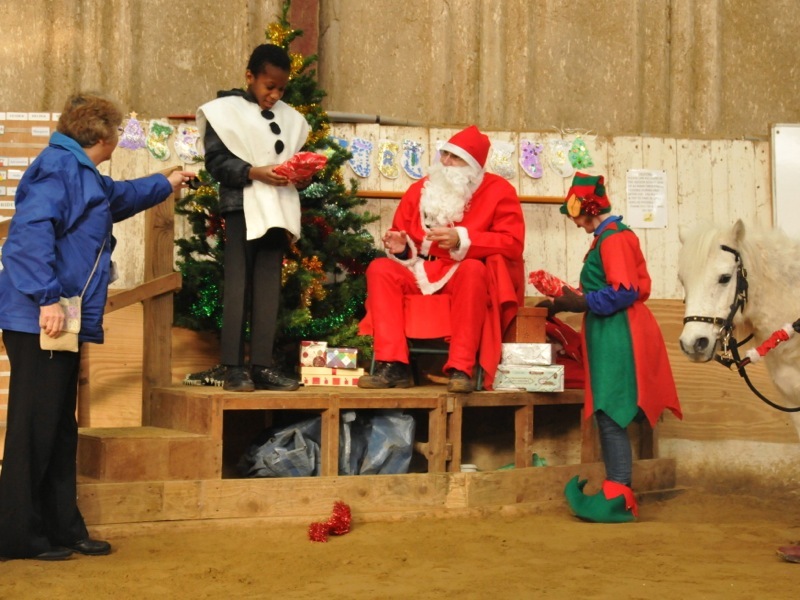 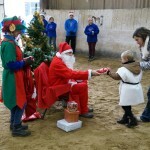 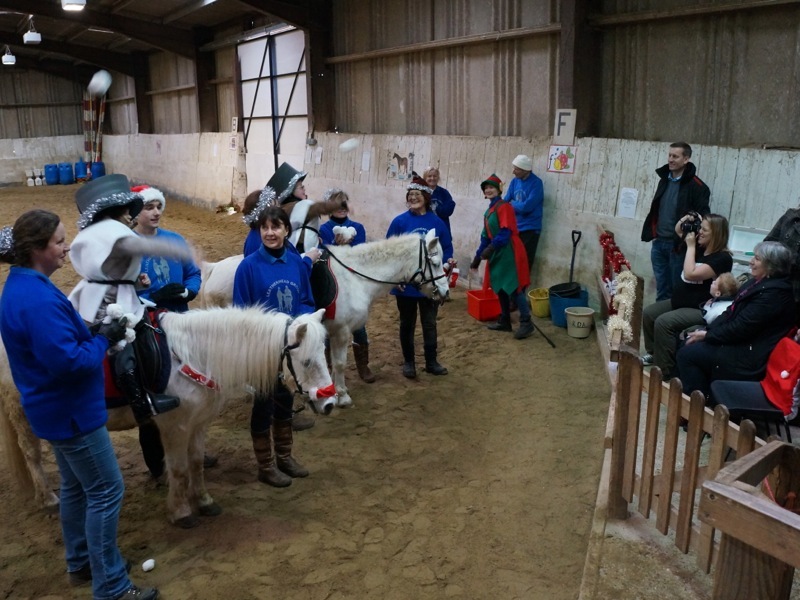 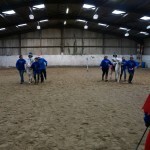 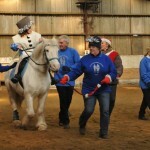 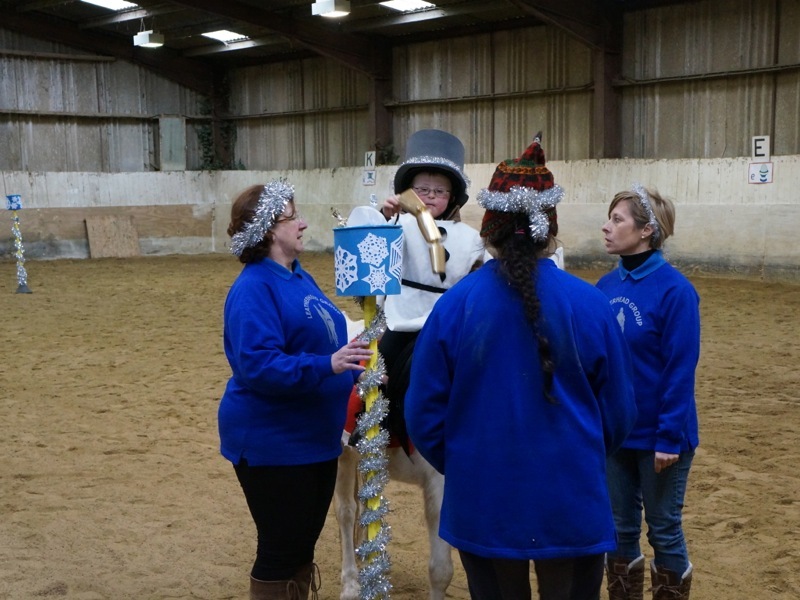 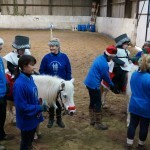 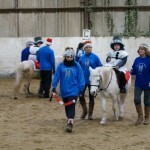 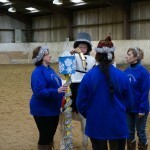 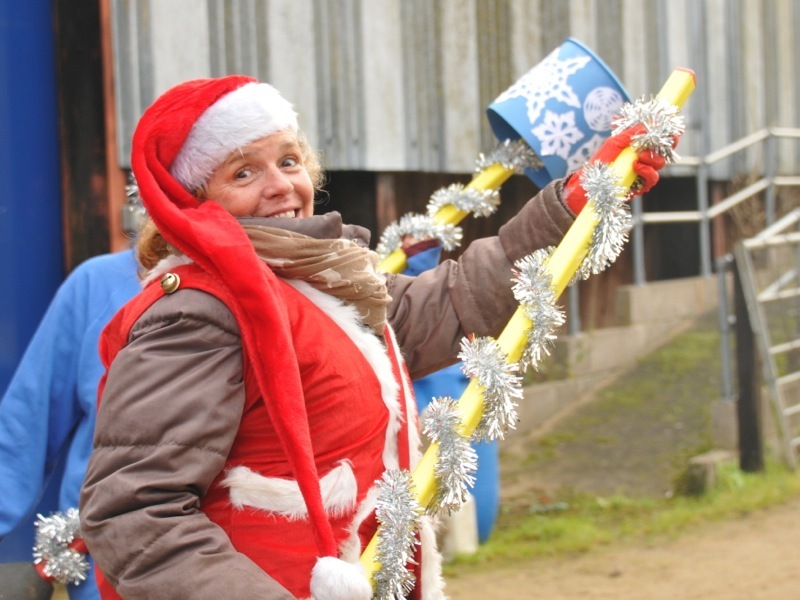 Although the weather outside was damp and grey, inside the riding school it was bright and frosty as all our little snowmen showed off their horsey skills, with musical rides, a Christmas challenge and some gymkhana games. 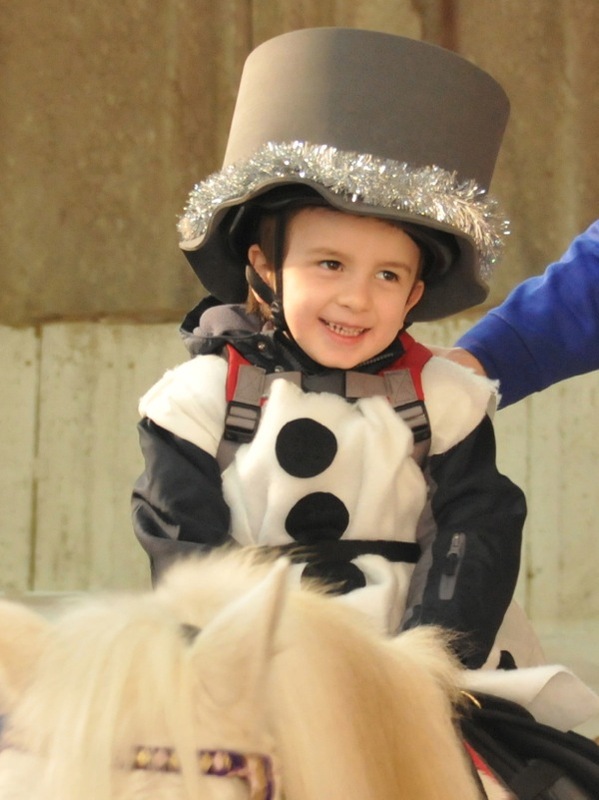 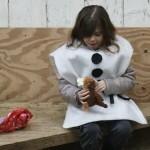 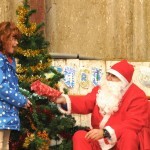 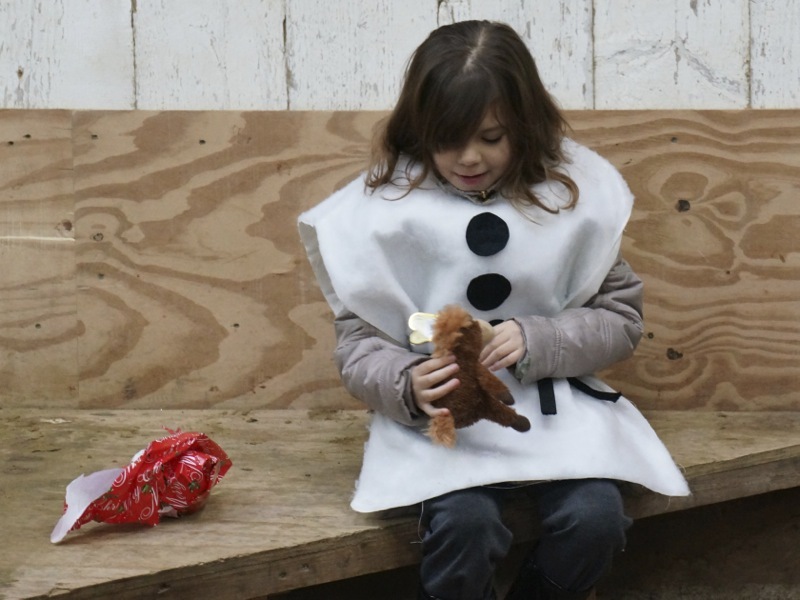 Parents were bombarded with “snowballs” before the children dismounted to await the arrival of Santa, who arrived with his Elf carrying a pony toy for everyone. 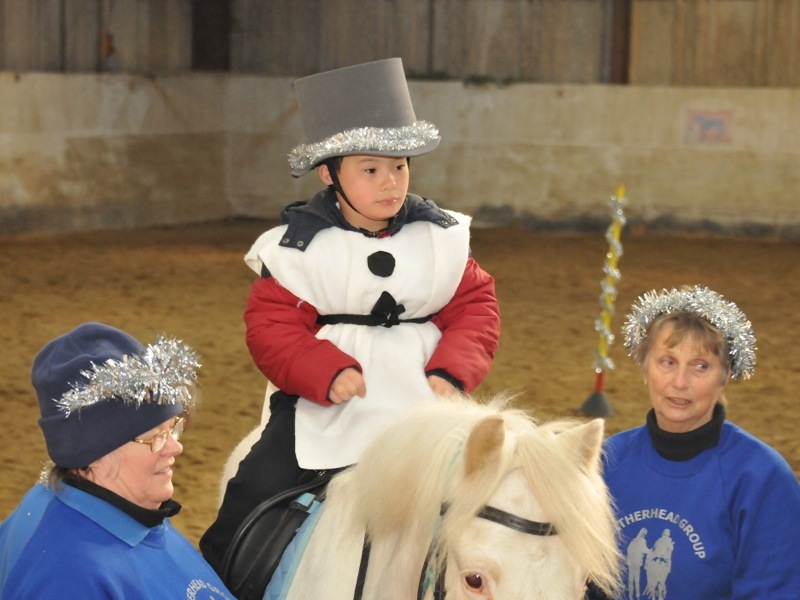 Lets hope that next term real snow doesn’t stop us riding!